medicating students | Diary of a Public School Teacher! A few years ago when my son was in the second grade, a teacher told me that I had to medicate him. “He needs medication!” This same teacher also demonstrated to me how she had my son’s chair pushed up against a blackboard, and then pulled a standing chart behind him so the other students wouldn’t see him. I left the conference, went back to my job, faxed a letter to her principal detailing what was said, and my child was removed from her class. My son is now a successful student in high school, never medicated, ever! Most parents don’t know that a teacher can not advise you to medicate their child. 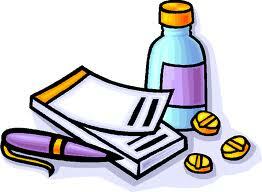 Most parents don’t realize that, legally, teachers can not tell a parent that their child needs medication. I have spoken to more than one teacher who is angry, yes angry, that a parent refuses to place their child on medication. Every child does not need medication, as in the case of my son. What he had throughout the years were teachers who were willing to use different strategies for my child who found it difficult to sit still. As a teacher, I have done the same thing for the children of others. They are children, and all children are different. “She doesn’t pay attention!” “He is easily distracted!” “He won’t stay in his seat!” Why are these reasons to medicate a child? I am not naive, I know there are times when medication might work for a child. But, it should not be used to create a room full of zombies for a teacher who lacks classroom management or doesn’t want to develop strategies to enable a child to learn. We all know students who are medicated, and nothing changes, except the dosage. Or the students who are so drugged, they just sit, not able to function. I have had those students that teachers felt should be medicated, one of them is a senior in high school, an Honor student, never medicated. I am scared about the future of these children we are drugging. When a child looks at you and says, “I didn’t take my medication today, that’s why I’m acting like this”, it’s scary. Where is the sense of responsibility we are supposed to be teaching? When teachers constantly say, “I can’t teach him today, he is off his meds!” Where is our sense of responsibility? Once, a colleague of mine suggested one of her former students needed medication. I told her, “He doesn’t need medication, he needs someone to make him sit down and do his work!” And that’s what I did, no medication required.